International Literacy Day is recognized annually on September 8th. It helps raise awareness about the importance of literacy. To celebrate, some of the Abrazos’ team shared their favorite children’s books. Want to win one of the books below? Share your favorite children’s book in the comments section and you will be entered into a drawing for a copy of Don’t Call Me Special and I See Things Differently both by Pat Thomas. You can learn more about Pat Thomas in our interview with her! Comments must be made by noon (12:00 pm MST) on Friday, October 19th to be eligible for the drawing. I love the book Let’s Go Home, Little Bear by Martin Waddell. There is such kindness in the book, as the big bear comforts and reassures the little one on a walk in the woods when unexpected noises scare the youngster. The drawings are lovely, and each scary noise gets identified and put in its place so the baby learns that it’s nothing to fear at all. The ending is warm and sweet. It’s a nice book for slightly older readers (9 to 12 years) to read on their own and very good as a book to open doors for children who need support to talk about their own fears and lay them to rest. This book is about a young child’s preference for all things red. She loves the color red — her red socks help her jump higher, her red jacket allows her to be Little Red Riding Hood, her red barrettes make her hair laugh. Her mom does not understand and continues to suggest other options that she thinks are better. I like this book because it helped my daughter to learn that she was an individual and that she could make choices that helped her feel good about herself. It reminded me that what is practical is not always what is best. 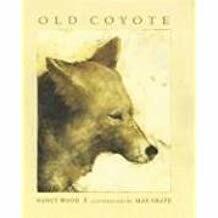 Old Coyote is a sweet picture book about an old coyote looking back on his life as he approaches his last day while Abuelita’s Secret Matzahs is a wonderful story about family traditions and the universal importance of faith for people of all religious denominations. 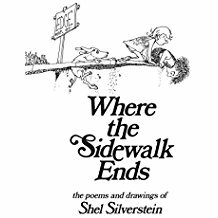 Where the Sidewalk Ends is a collection of poems and drawings by Shel Silverstein. There is something for everyone, young and old alike. Some are just silly and outright ridiculous, but each one has a deeper meaning that even a child can understand. 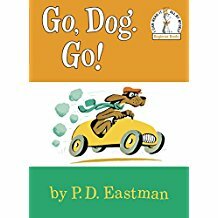 This was one of my favorite books as a child, and I have also enjoyed reading this book to my children. You can jump around to your favorites, make silly voices and sound effects, and spend as little or as much time as you are able to! I loved reading the book No, David! To my children, especially my youngest son, David. I like that while David gets into lots of mischief and mayhem, at the end of the book his mom reminds him that she loves him and gives him a hug. I love this book for young children who are just barely starting to listen to simple stories (usually between 2-4 years old) because it has a simple plot, only a few words per page, beautiful and humorous illustrations, and touches on some more complex emotions than just happy and sad (think surprised, worried, furious). It is a sweet story about a gorilla and his pet kitten. The gorilla communicates through sign language with his keepers and tells them that he wants a little friend. And that is where the fun begins! I love this book because as a parent of boys, they smelled bad and broke things and made messes! But at the end of the day we could snuggle in bed and make light of the day’s disasters and remind them that no matter what happened during the day, I loved them more than anything and we would always be able to deal with whatever. I love this book because bedtime can be challenging for almost any household, but reading Goodnight Darth Vader makes it fun for both the child as well as the adult Star Wars fan. Added bonus, it was good to know that even Darth struggles to get his children to sleep. Go, Dog. Go! by P.D. Eastman. It is an easy-to-read beginner book with bright pictures and an assortment of dogs in a variety of activities. The night scene is one I can relate to easily with all the dogs asleep except one, eyes open wide. So funny! Remember to share your favorite children’s book in the comments below to be entered to win a copy of one of Pat Thomas’ books. Additionally, if you decide to purchase a book, please use AmazonSmile and select Abrazos Family Support Services as your charity. We appreciate your support!